Category: Sale, Sets. Tags: Acrylic, black and white stripes, twittens with mittens. Black & white striped with red thumb. 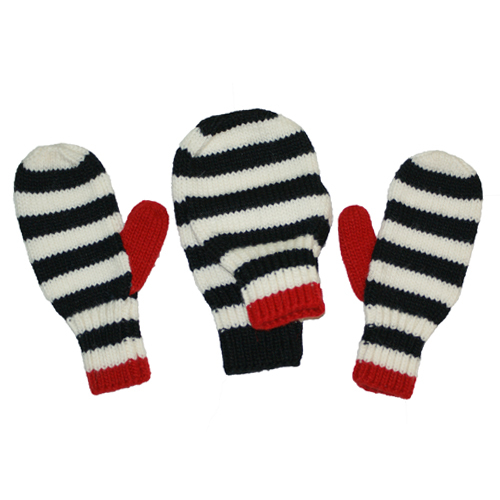 Set includes 1 Handmade Twitten and 1 Pair of Mittens. Order it now and get 20% off!